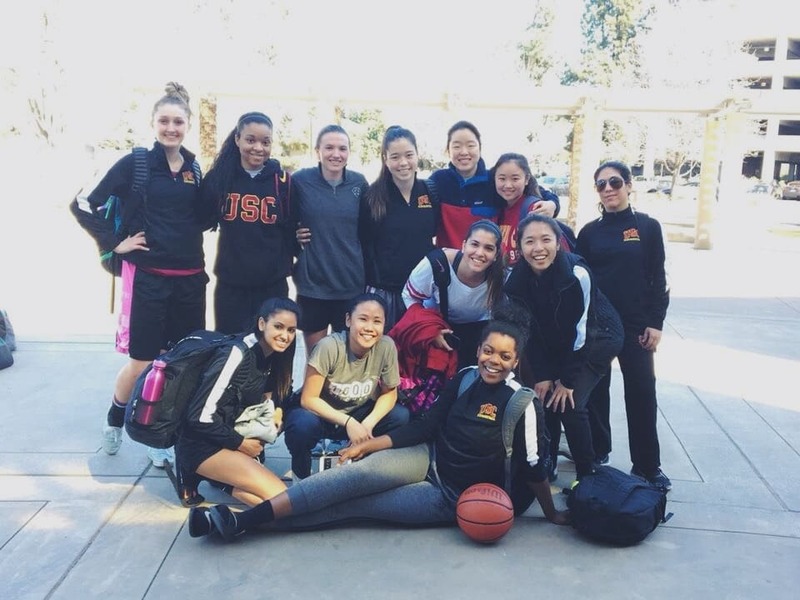 USC | Send USC Women's Club Basketball to the NIRSA Tournament! Send USC Women's Club Basketball to the NIRSA Tournament! 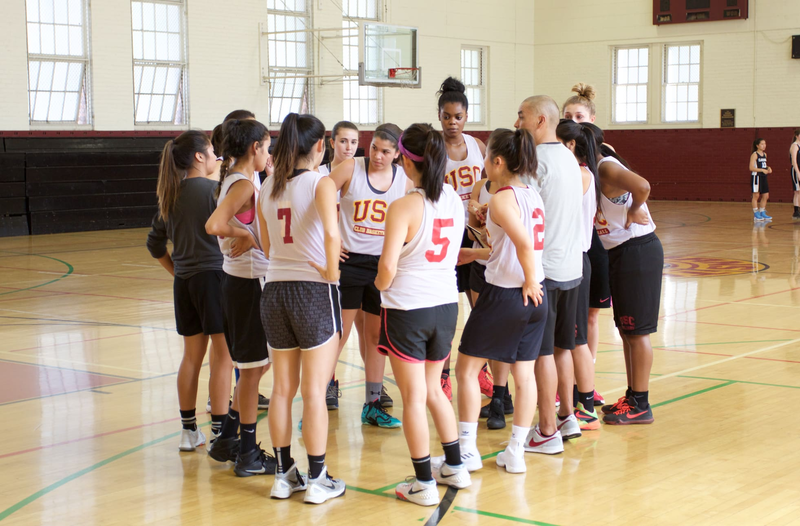 The USC Women’s Club Basketball team was founded in 2012 by a group of girls who saw the need for a more competitive environment, below the Varsity level, to play the sport they love. Nevertheless, despite being a relatively new organization, we have been able to make incredible strides forward. In the five-and-a-half years we have been competitive, we won two Regional Championships and have participated at the National level three times. Our greatest accomplishment took place in 2016, when we won the National Championship! The team currently consists of fifteen dedicated and hardworking ladies, as well as our amazing coach, Sonny. In the 2017-18 regular season, we have competed against Cal State University Northridge, Claremont McKenna College, UCLA, and Mountain Saint Mary’s University. During the NIRSA Regional Basketball Tournament which took place on February 22-24 at Sacramento State University, we fell in a wire-to-wire semi-final game against GCU to place third overall. After our incredible run at Regionals last month, we firmly believe in our ability to succeed at the National level. The NIRSA National Basketball Tournament, which will be taking place on April 20-22 at Ohio State University, is an amazing opportunity for us to develop as a team and achieve something very special. However, the trip to Nationals is a costly one, with flight tickets, hotels, tournament registration, and other travel expenses adding up very quickly. Your financial support would not only alleviate our expenses for Nationals, but also would be an investment in the future of our organization. Our team is fairly young, with only one senior and two graduate students who will be leaving us at the end of the year. A trip to Nationals is a special opportunity for us to continue to grow and build a strong foundation for the following seasons. The experience of being exposed to national-level competition and creating chemistry on and off the court, especially considering our young core, will be an invaluable one. With the group we have right now, a National Championship seems very much in reach — and we would greatly appreciate your help in order to get there! Click the “Give Now” button on the right to donate an amount of your choosing, or select one of the donation tiers. Each tier will be given the gifts of the lower tiers. Thank you so much for your support, and Fight On! Thank you for your support! Receive a personalized thank you email from the team. We appreciate your help! Receive a signed photo and handwritten card from the team, plus all levels above. You're amazing! Your name will be posted on the donor page of our team website, and receive all levels above. Your generosity means the world! Receive a special team t-shirt, plus all levels above. Our trip would not be possible without you! Receive a personalized video from the team, plus all levels above.